There are still few months left to spill over to year 2011. However, you can start preparation for next year by selecting perfect template for 2011 Calendar. 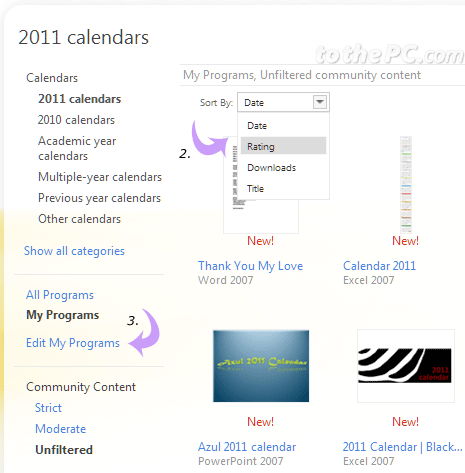 You can download free Microsoft Office 2011 calendar templates from Microsoft’s Office.com website. You can browse and download template for specific Office programs including Word, Excel, PowerPoint and so on. 1. Click here to browse collection of 2011 calendar templates that can be viewed, edited and used in Microsoft Office 2007 and Office 2010 programs. 2. You can sort templates by date, ratings, downloads and title from drop down box at the top. 3. Also you can filter calendar template display only for specific Office programs. Click ‘Edit My Programs’ button on left sidebar. 4. In the pop-up dialog box, drag the program names to left column for which you want to view templates. 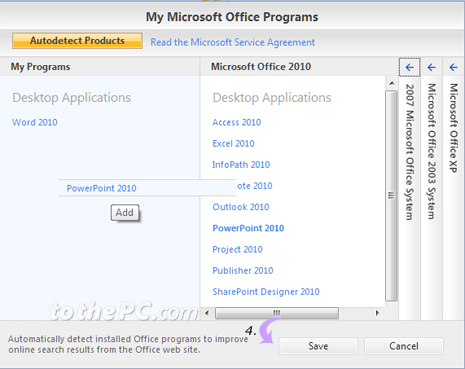 Then click Save button to load template page showing office 2011 calendar templates for selected programs.